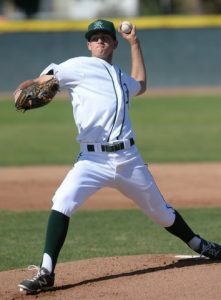 Our Baseball Lessons are delivered by a Professionalcoaching staff with 25+ years of experience. 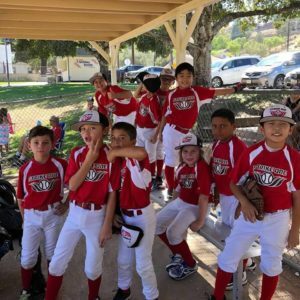 We are passionate about developing ballplayers on both a physical and mental level. 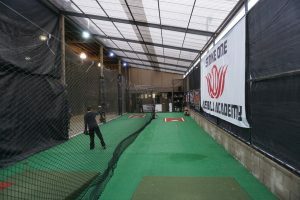 All lessons are 1on1 with a professional hitting instructor and include a slo-mo video analysis of the players swing. We tools & resources to help improve delivery, accuracy and velocity while keeping in mind, longevity and safety. We offer multiple strength/training classes. These are great for getting young athletes to the next level. My Oldest Son Loves These Camps! A Fun/Safe Place For My Kid! 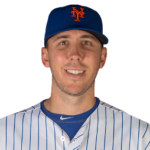 I've been playing professional baseball for 19 years and have been around many coaches. The instruction at Strike One is fantastic. They are able to work with all ages, personalities, and experience levels. 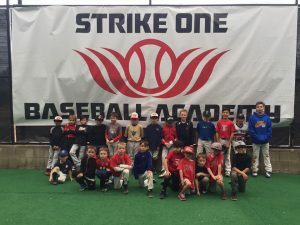 They have the ability to identify a ball players strengths and weaknesses, mechanical issues, and then design a developmental plan to correct and grow the proper mechanics used by the best in the game. Includes Hitting, Pitching, Infield, Catching. 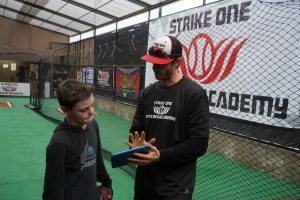 At Strike One we realize that every student that walks through our doors is built a little differently (physically, mentally and emotionally), therefore it’s extremely important to be able to tailor our instruction to the student’s make-up to get the best out of that athlete. We teach to the individual and set a baseline for each student based on their first lesson which in turn allows the instructor to plan the course of instruction. It’s extremely important for the student to understand their own strengths and weaknesses, along with understanding their own style. Therefore, in order to teach to the individual we do not teach a specific “style”, but we teach the “absolutes” and base instruction off them. 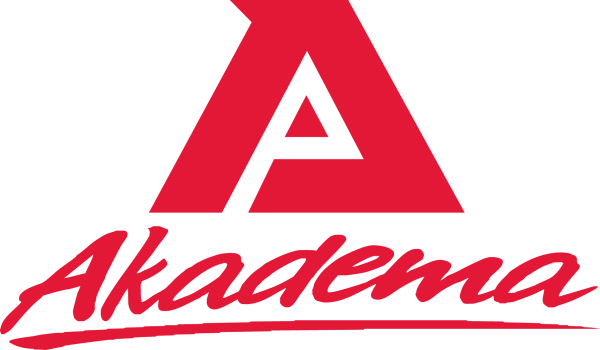 We feel strongly in our teaching philosophy and believe that providing a positive and fun atmosphere aides in the learning process, while also building self-esteem and a strong positive attitude. Teaching the game is our business and it’s a business we take very seriously. We understand and accept the responsibility of teaching the game the right way and helping the advanced, elite player fulfill their dreams; while taking the youth player and teaching them the basics to build confidence while passing on the passion for the game we love!!! 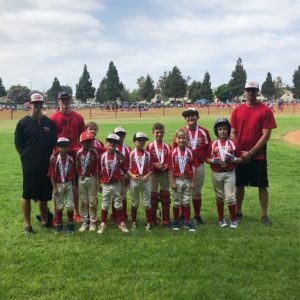 Our Professional Coaching Staff Has Over 75+ Years Of Baseball Experience. Our Philosophy is to Develop Each Player and Take Them to the Next Level. 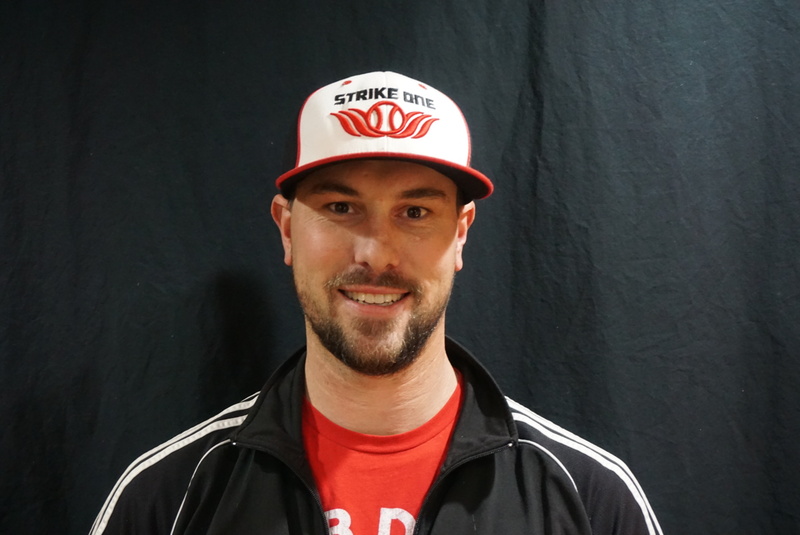 Take a look at some of the Strike One Players who have gone on to play Division 1 Baseball or higher. 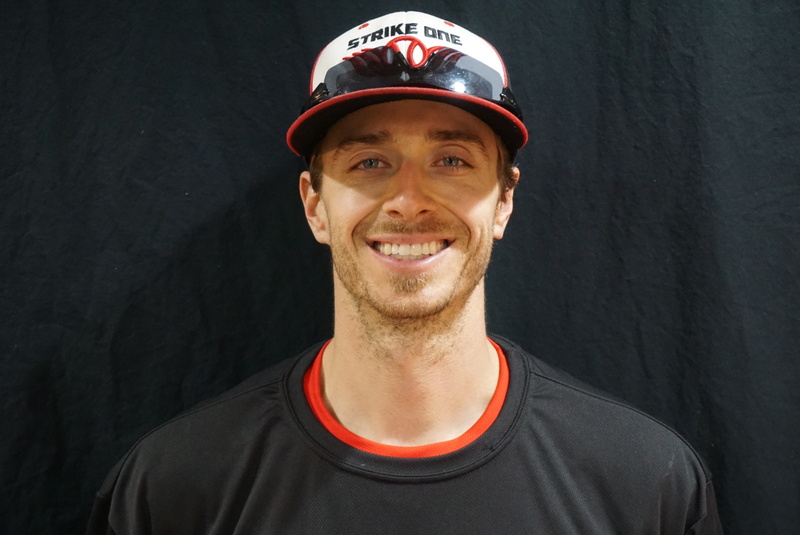 Since starting with The Hitters Lab I have seen a tremendous improvement in Kobe’s approach towards the game. He is much more focused on the fundamentals such as stance, balance, and proper path to the ball. Kobe was unsure when he started and has clearly grown a passion for the game after working with the coaches. 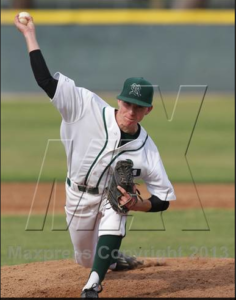 He now gets excited to better himself and grow as a ballplayer. 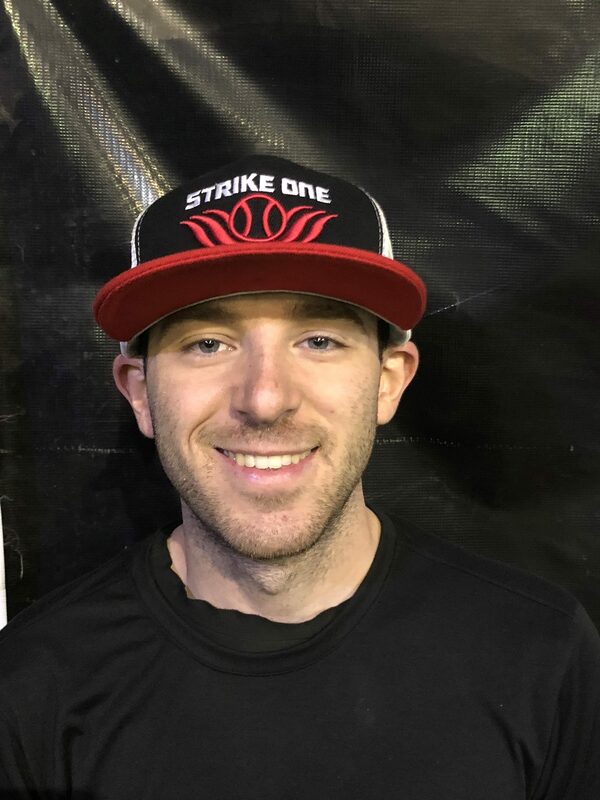 I would recommend the coaches at Strike One Academy and The Hitters Lab to anyone looking for their kid to play at the next level. 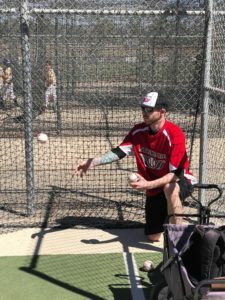 Braeden’s hitting has greatly improved since beginning his lessons with Coach Kenny. 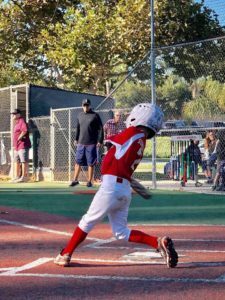 His confidence at the plate has increased, and he even hit his first HomeRun this past weekend!! His swing and stance is getting better every week we work at The Hitters Lab. Jason has made baseball so much more enjoyable for my two oldest boys.